Yesterday was Mr.Carter's 44th bday (December 4th). So how do you gift the man that literally has everything? How about an homage to his classic debut Reasonable Doubt. Philly composer Antman Wonder recreated nine classic tracks and Skyzoo (with a few features) blessed the mic to hop in the Delorean to transport us back to '96. So was the Jamla emcee able to shoulder the Brooklyn mantel with An Ode To Reasonable Doubt? Lets find out. 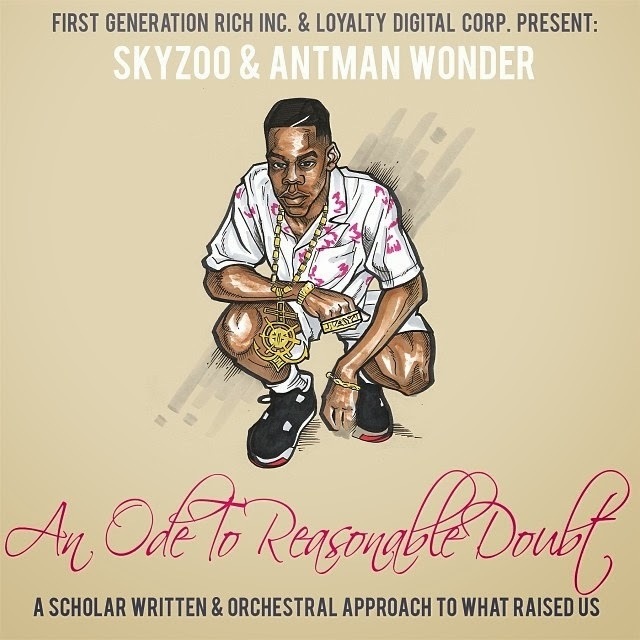 As mentioned above, Skyzoo did not give us the full 16 tracks (including bonuses here) from the original album. Instead he chose nine tracks that I assume he feels were the cream of the crop. Everyone remembers how great Can't Knock the Hustle set the tone for rest of Reasonable Doubt. Skyzoo correctly begins his EP with The Hustle Never Sleeps. While Mela Machinko has a great soulful voice, there really is no comparison to Mary J Blige on the hook. What Skyzoo did with the track (and the entire album in my opinion) that is genius is not to try to recreate Hova's lyrics, but rather reimagine each song. Sky gives us hints of Jay Z's lyrics here and there, but he stays true to his cadence and flow: "my motto, stack rocks like Colorado/ the stress turned us into Hennessy aficionados/ and it's a damn shame what you not, who/ slick like [a gato], Skyzoo/ my pops knew just what he did on the slide through/ talking like the greatest and that's just what he created". All the instrumentals have more of an philharmonic quality to them. Which is a great way to preserve the vibe and emotion that was created 17 years ago. 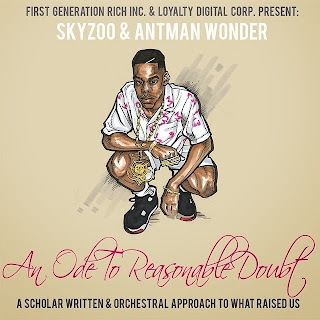 Skyzoo ends his album the same way Jay ended Reasonable Doubt (excluding bonus tracks), with The Truth About Regrets. Again Sky does not force the song but rather lets the song grow organically: "I'm from where they throw it all, from crack to opium/ in the third person, so if you trying to see them/ then it's a call, I'll make a call before you meet them/ and even that's asking a lot without a lead in." I am not going to review more songs because if you are reading this blog you should know what Reasonable Doubt sounds like (if not..do that..now). And if you are not a Skyzoo fan, there isn't much that a review will do, you need to hear it. GO COP THE ALBUM. Trust, it does not disappoint. Elzhi successfully accomplish the feat of "remaking" a classic with Elmatic. Both chose to go with a more live band/orchestral sound for the instrumental foundation, and both are lyrically gifted to pull of the emcee duties. The fact that Skyzoo was able to take an iconic album and still have it be a "Skyzoo" album is amazing. But Skyzoo does have that laid back Brooklyn flow so it shouldn't be that much of a shock. This album feels like a Reasonable Doubt 2. Especially the way Sky took samples of Jay Z's lyrics and modernized them: "I want money like Cosby, who wouldn't/ or at least Raven-Symoné , the way Raven-Symoné was cooking". He made sure to thoughtfully treat each track with the respect it deserves. So with Rapsody taking our first 5 Mic review, it is safe to say that the Jamla camp wrapping up '13 strong.